Cedar Creek and Belle Grove National Historical Park is pleased to announce a series of special Battlefield Series programs. These presentations highlight particular stories and events related to the Battle of Cedar Creek and other Civil War sites in the Shenandoah Valley. “The Battlefield Series programs examine these events in more detail than our regular presentations,” according to Chief Ranger Eric Campbell, “They also allow visitors an opportunity to see sites not normally open, or widely accessible, to the general public.” Battlefield Series programs are offered at 2:00 p.m. on select Saturdays, starting May 21st. Each program is free and lasts between 90 minutes to two hours. With the collapse of the rest of the Northern army on the morning of October 19, 1864, only the Union 6th corps stood intact to face the Confederate onslaught. Join Park Volunteer Patrick Cooney as he explores the defensive stand made by the 6th Corps and its impact on the battle. Meet at Visitor Contact Station (7712 Main Street, Middletown). Visitors will then car caravan to various locations on the battlefield. The Union counterattack at Cedar Creek involved some of the bloodiest and most critical combat of the entire battle. Join Park Volunteer Jeff Klopp as he examines this fighting from the perspective of the Confederate defenders. Meet at the Visitor Contact Station (7712 Main Street, Middletown). Visitors will then car caravan to various locations on the battlefield. Middletown constantly found itself in the middle of war. At no time was this truer than on October 19, 1864 during the Battle of Cedar Creek when fighting raged through the town’s streets both during the morning Confederate assault and the afternoon Union counterattack. Join Ranger Jeff Driscoll as he explores this critical, but often overlooked action. Meet at the Visitor Contact Station (7712 Main Street, Middletown). The amazingly successful Confederate surprise attack on the morning of October 19, 1864 at Cedar Creek caused the near total collapse of the Union Army of the Shenandoah. Park Volunteer Guy Young will examine this attack through the perspective of the three Union corps who bore the brunt of the Southern assault. Meet at the Cedar Creek Battlefield Foundation Headquarters (8437 Valley Pike, Middletown). Visitors will then car caravan to various locations on the battlefield. One of the most well-known units to fight at Cedar Creek was the Vermont Brigade, which saw action both during the critical morning defensive stand on Cemetery Hill, and also during the Union counterattack in the afternoon. Join Park Ranger Jeff Driscoll as he explains the role of these soldiers from the Green Mountain State. Meet at the Visitor Contact Station (7712 Main Street, Middletown). Visitors will then car caravan to various locations on the battlefield. Some of the most well preserved original Civil War entrenchments in the Shenandoah Valley are located on the bluffs above Cedar Creek. Join Park Ranger Jim Horn for a special walking tour that explores both the construction of these field fortifications and their role during the Battle of Cedar Creek. Preserved by the Cedar Creek Battlefield Foundation and Belle Grove, these earthworks are the focal point of a newly expanded walking trail in the park. Meet at the Visitor Contact Station (7712 Main Street, Middletown). Visitors will then car-pool to another site closer to the entrenchments. Join Park Volunteer Chuck Barker as he examines the role of Capt. Henry DuPont and his 8th Corps batteries during the Battle of Cedar Creek. DuPont’s actions would later earn him the Medal of Honor. This car caravan tour will explore areas not normally accessible to the public. Meet at the Visitor Contact Station (7712 Main Street, Middletown). Visitors will then car caravan to various locations on the battlefield. Less than a week before the Battle of Cedar Creek, a short, but bitterly fought engagement took place on the slopes of Hupp’s Hill, just north of Strasburg. Join Park Ranger Jeff Driscoll as he describes this important, yet largely forgotten, fight and its impact on Cedar Creek six days later. Meet at the Hupp’s Hill Civil War Park (33229 Old Valley Pike, Strasburg). 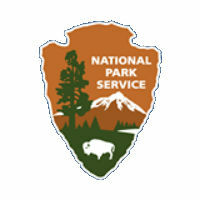 For more information, check the park website (www.nps.gov/cebe) or call (540) 869-3051.